Mcdonald’s has its own McFlurry, Theobroma Chocolate Lounge has vanilla ice cream in a cup.. Well… T﻿he Coffee Bean & Tea Leaf is not left behind. Introducing their new Frozen Swirl Yogurt… which is a healthy yet low fat swirled premium frozen yogurt new in their ice blended menus. The yogurt swirl come in two series, one of them is the original swirl yogurt which is the classic vanilla. Small size of the cup was at the price of RM6.90. And the other type was the flavoured ones called blended swirl yogurt. There were 8 types of flavours can be chosen such as Banana Caramel, Peach Mango, Berry’d Tressure, Pomegranate, Expresso, Black Forest, Caramel Machiato, and Matcha Green Tea. Each of them were at the price of RM7.90. If one flavour was not enough for you, you can even add in additional topping by just adding RM1.50 per topping. Our small sized of Classic Vanilla Frozen Swirl Yogurt. Do you know that it was just 145 calories per saving of 120gm? The Frozen Swirl Yogurt was very yummy. It was not as rich and creamy as normal premium ice cream but was more watery. Something like crushed ice+ frozen yogurt+ milk being blended and swirled together. Smooth texture and not too sweet…simple and simply irresistible! My girl added some chocolate and vanilla powder on it. Hmm…it looked nice too. At least we can tasted two flavours without paying extra for additional topping. Haha…Good job my dear! 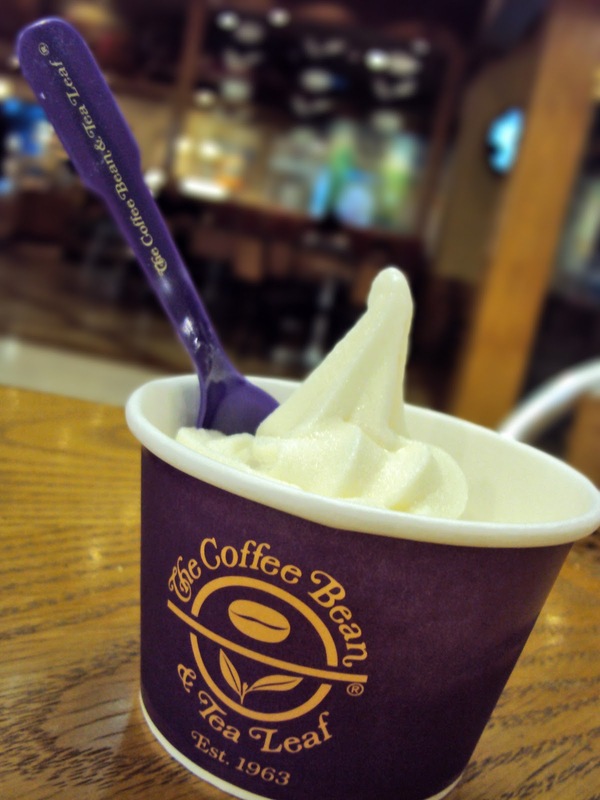 For your information, only 10 selected outlets of Coffee Bean selling this Frozen Swirl Yogurt. 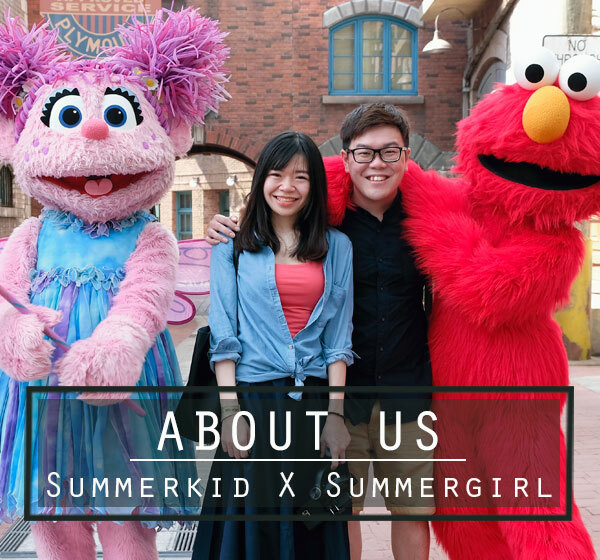 There were One Utama, Mid Valley, Bangsar Village, Mont Kiara, Pavilion, Desa Park City, KL Sentral, Ampang Point, Empire and Genting.